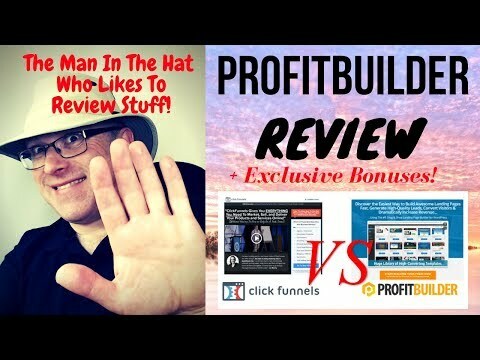 In this ProfitBuilder review I compare it favourably with the excellent ClickFunnels from Russell Brunson. ClickFunnels is a hosted service that you pay for monthly. ProfitBuilder is WordPress Plugin (and optional theme) that has much of the functionality of Clickfunnels, but even when hosted on your own hosting service, costs a fraction of the price of Clickfunnels. ProfitBuilder uses a ‘what you see is what you get’ (WYSIWYG), drag and drop editor, that people with zero coding knowledge can use to create impressive websites of almost any flavour. 130+ included marketing templates of sales pages, optin pages, members portals and so on, make ProfitBuilder especially attractive to the serious marketing professional. It comes complete with the facility to track ‘funnel’ analytics and do A/B split testing. I’ve used both Clickfunnels and ProfitBuilder. I like Clickfunnels. I like Russell Brunson. I just don’t like the price when there is something out there like ProfitBuilder that has very, very similar functionality for a tiny fraction of the price. Don’t take my word for it though. Check them both out by watching my video and reading my review by following the link above.